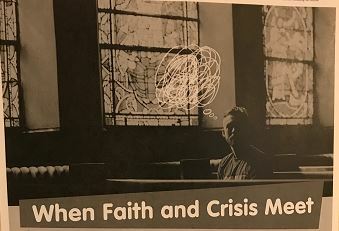 WHEN FAITH AND CRISIS MEET IS A 90 MINUTE SEMINAR EXPLORING THE SUBJECT OF FAITH, THE CHURCH, AND MENTAL HEALTH IN YOUNG PEOPLE. THIS EVENT IS BEING HOSTED BY TALKTHROUGH AND PARTNERSHIP UK. NATIONALLY THERE IS A CRISIS IN YOUNG PEOPLE’S MENTAL HEALTH AND THOSE WITHIN THE CHURCH ARE NO EXCEPTION. What role can faith communities play in offering support through the chaos of life? How does the culture and environment of faith impact mental health? How can our attitudes and approaches to discipleship be supportive and detrimental to well-being? How is well-being and discipleship interconnected? How do we ensure that we provide the right environment for young people to flourish and find life in all it’s fullness? This seminar whilst focusing on support for young people will offer principles that can be applied to people of all ages.